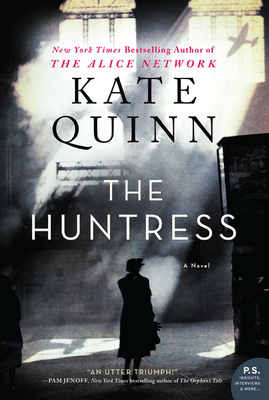 A Russian “Night Witch, “and a British War Correspondent turned Nazi hunter join forces to track a ruthless assassin in The Huntress, the latest book by Kate Quinn. From the pre-war wilds of the Soviet Union to the streets of a war-torn Germany to the bustle of Boston, Quinn masterfully mixes the past with a post-war present and it’s phenomenal. Fans of The Alice Network and The Nightingale will love this fantastically fast-paced and utterly exhilarating historical fiction for sure!